Wow, it has been a long time since I last blogged. Lots of things have happened…a pre-Christmas break up (however I have kept a best friend) and many other reasons to make my head spin a little. But, I am here now, hi 2015! – unsure of where on earth I will be living in the next few months but feeling super excited about all the potential options there are. Remember my lovelies…even in the most tricky of times, where everything seems a bit messed about there are always chips. And ketchup…but mayonnaise….well…. not for you, freaky vegans…. Mayonnaise is one of those weird things that I started to like as an adult, but hated when I was younger. And then once I ate vegan it was gone. Was mayonnaise a brief lover of mine? Gone for evermore? Of course not. 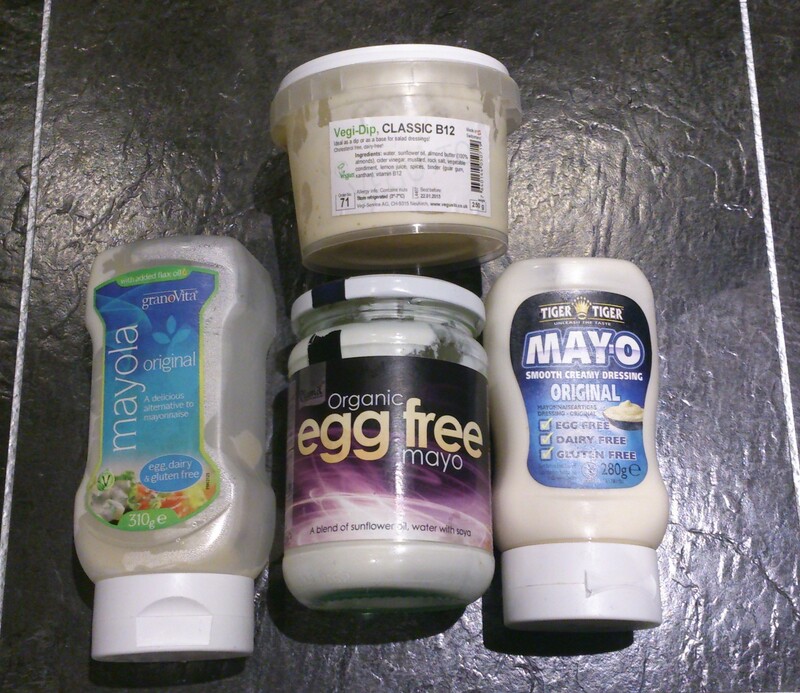 Silly me, there’s a bunch of vegan mayo style sauces. Here’s a quick review on all the one’s I’ve had pleasure in trying out & dipping many chips in….that’s single life for you eh? 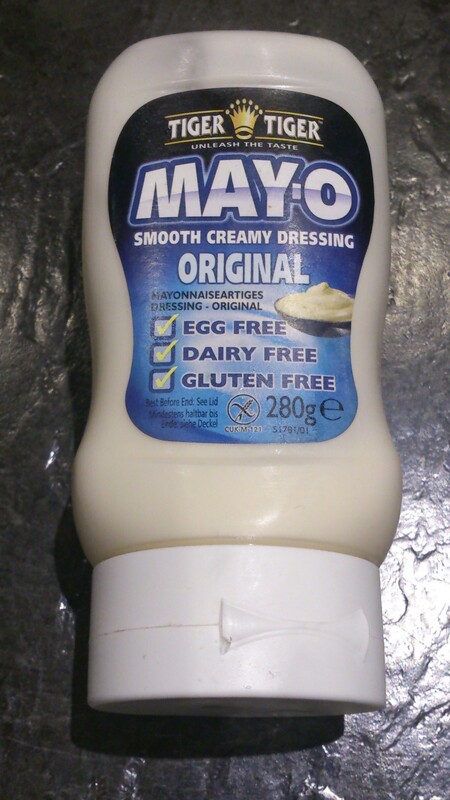 This mayo is definately the thickest, or most viscous to use a bit of my old Science GSCE lingo! You’ll need to spoon out a good dollop on your plate. Taken for research, I promise I have not been eating this spoon after spoon. 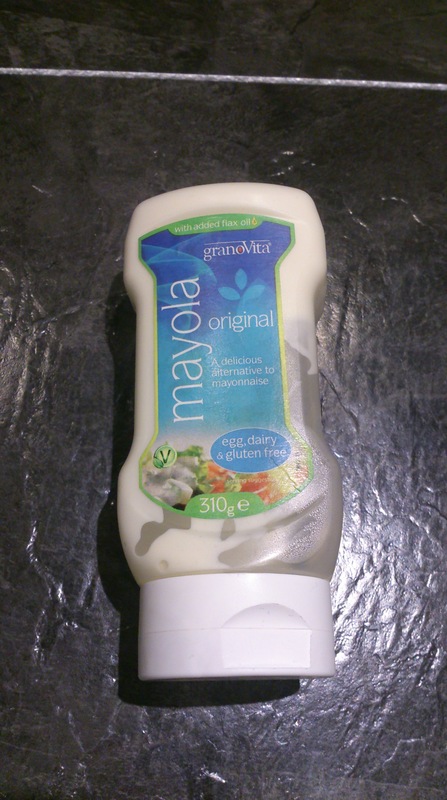 Taste wise, I do enjoy it, this was my first mayo, so it will hold a special place in my heart and on my chips – but it is definitely the most “zingy” or vingary tasting of the bunch. This isn’t necessarily a bad thing, but if you want a more mild mayo it may be better to read on.. It also is not at all “eggy” in flavour, which is something you may be wanting to rule in or rule out depending on what you want! Katie’s Hold the Mayo Rating: 3.5/5 Satisfyingly thick, great as a GF option, could be a bit overpowering on the vinegar taste. Like Plamil and Tiger Tiger (below) this can often be found in the aisle of Holland and Baratt. 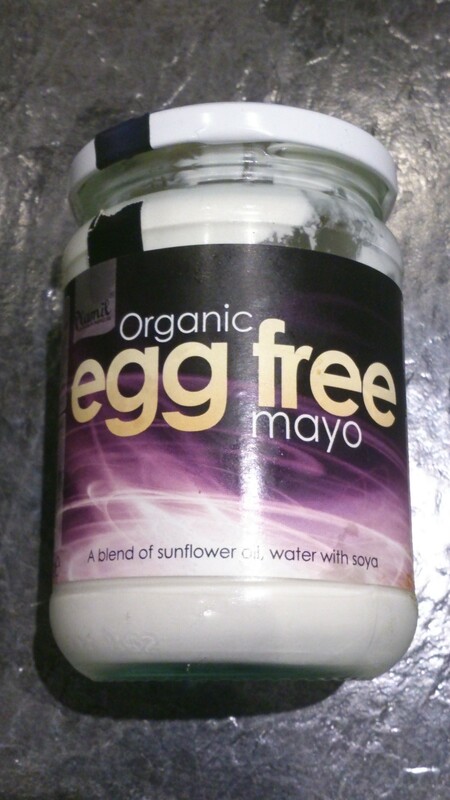 Intriguingly labelled as “a blend of Sunflower Oil, Flaxseed Oil and Apple Juice” this mayo is vinegar free. It tastes more to me like Heinz Salad Cream than it does mayo, but is still pleasant as a dip, or great mixed with a potato salad. Katie’s Hold the Mayo Rating: 3.5/5 Pleasant taste and reasonable price, however more reminiscent of salad cream than traditional mayo. Tiger Tiger tastes to me, the most like regular mayo, there’s a hint of zing and a creamyness to it. Milder than Plamil and thicker than Mayola, this is a favourite with me. It is also labelled as Gluten Free and comes in an additional garlic flavour for bonus points & to scare off any vampires. Katie’s Hold the Mayo Rating: 4.5/5 One of the cheapest on the market, & available in health shops & Sainsbury’s, this mayo has the traditional taste to it and is gluten free. Basic tub, strange looking, all good. 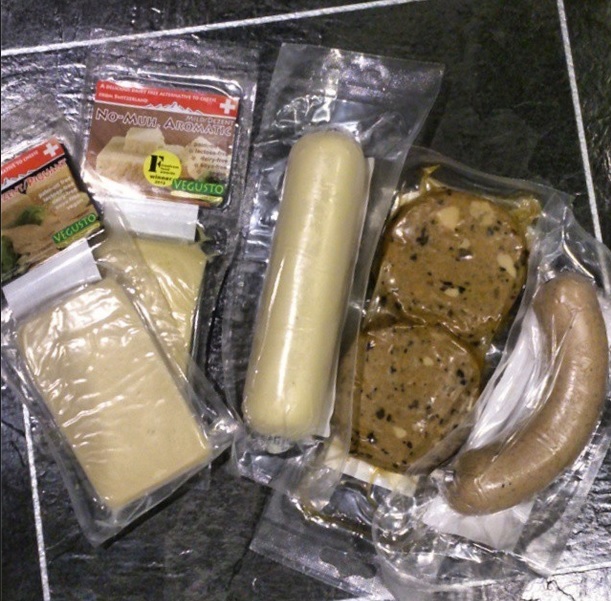 I stumbled on this one by chance whilst ordering a Vegusto Starter kit – £12 for 3 types of cheeses, sausage and 2 burgers, I cannot recommend enough! Check it out here! I can get a little worried about my B12 levels, as I am, (I’m sure you can relate!) asked if I get enough protein/calcium/B12/List goes on.. by people when they find out about “the vegan thing” -so seeing another item with B12 in was worth a try. Vegi-Dip Classic is a creamy colour, sprinkled with little spices. It’s quite runny, but works well as a dip for chips, and perhaps lightly spread onto sandwiches. 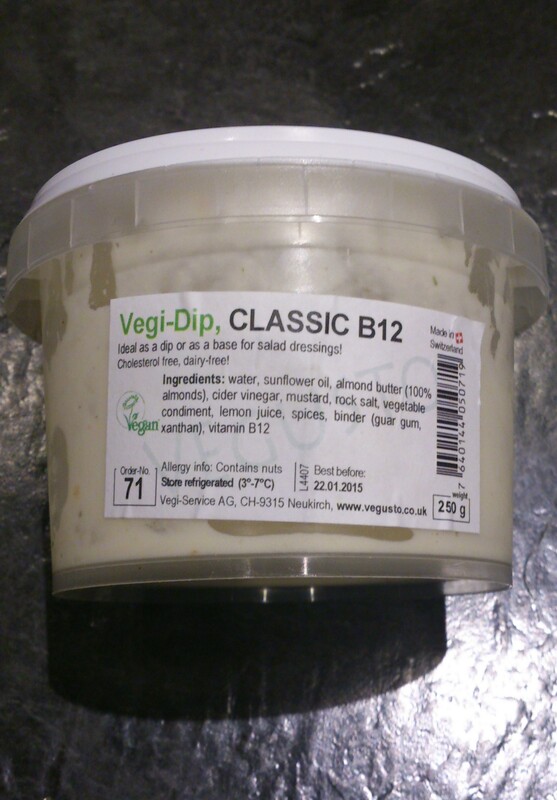 The Vegi-Dip is another gluten and cholesterol free option, as well as being free from palm oil & soya. 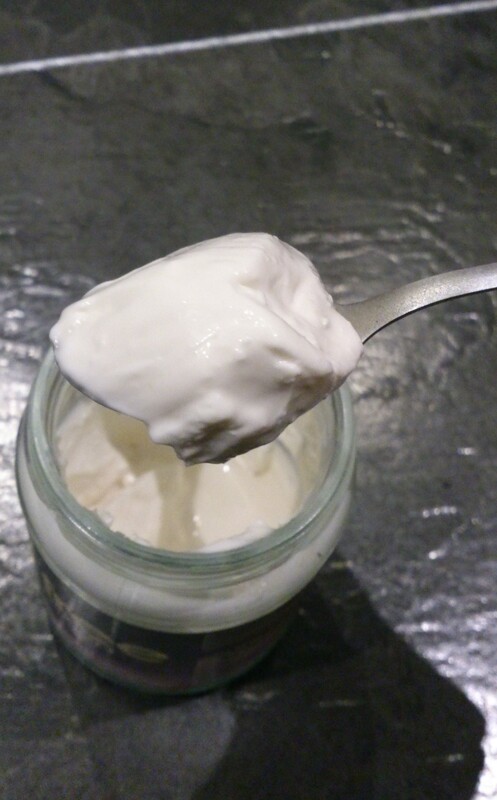 Katie’s Hold the Mayo Rating: 4/5 The most expensive of the bunch, but it is tasty, versatile and fortified with that B12 – worth popping into that online basket when you buy a few vegusto bits. So, the overall winner for now is Tiger Tiger, is has the most mayo taste according to my tastebuds, is cheap and relatively easy to find. But, your perfect mayo may be different to my perfect mayo, all we can do is sample what we find and enjoy the ride, and those chips. Any other missing mayos from my life? Holla at me! Thanks for linking to me, I love your blog! ← The Hearth Lewes – Delicious pizza and vegan cashew cheese.